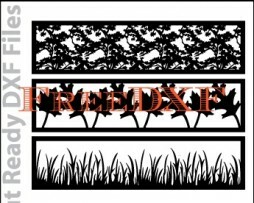 The Abstract Trellis DXF file includes 16 individual trellis screen designs as well as a PDF file that can be printed and used for viewing. Use the trellis panel screen for crawling plants or to add privacy to an outdoor space. 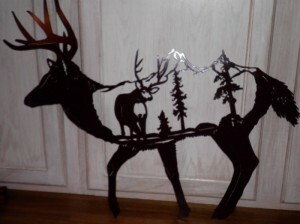 These designs are sized to be cut 48″ tall with varying widths (between 20″ and 26″ wide). Each design includes mounting holes for trellis screens. The Candle holder DXF file includes 20 individual designs as well as a PDF file that can be printed and used for viewing. These nature inspired candle holders allow you to create a cosy atmosphere at home. Once fabricated, you can bend the tabs to form an beautiful pieces of decor. These designs are sized to be cut around 15″ tall with varying widths. The design is intended to be bent to form a base. 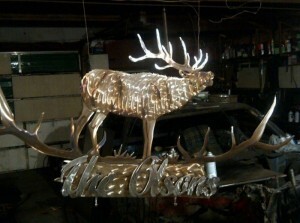 Once complete, the artwork will stand around 10″ from the base. 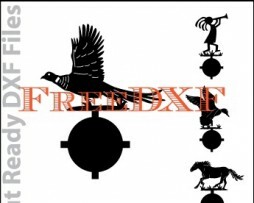 The Crosscut Saw Blade DXF file includes 15 individual Crosscut Saw blade designs as well as a PDF file that can be printed and used for viewing. These Saw blade designs are sized to be cut 48″ wide. The height varies. 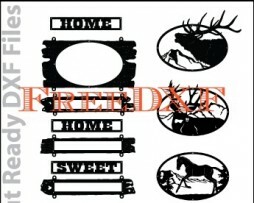 These designs can be used for hanging on the wall, above a fireplace, or as an address sign. This design offers a nice, rustic feel. Each design includes mounting holes for handles. 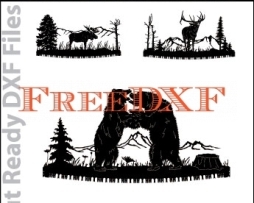 The Fence Toppers DXF kit includes over 20 different pieces. Each design comes in two sizes. Once fabricated, these signs can placed on top of fences to provide privacy add offer a unique look. 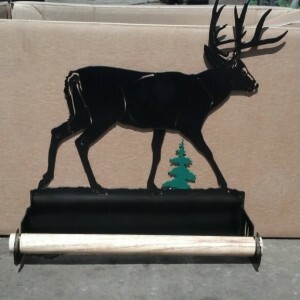 These fence topper frame is sized to be cut around 48″ wide and 12″ tall. Each design includes an additional size which can be cut at 48″ wide and 24″ tall. 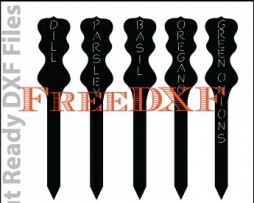 The Garden Stake DXF file includes 50 individual designs as well as a PDF file that can be printed and used for viewing. These designs include just about every garden variety from Asparagus to Yams and Basil to Tarragon. Once fabricated, these stakes can be placed next to plants in the garden to easily indicate which plants are growing. These stakes are sized to be cut around 18″ tall and 3″ wide. The Three Piece Welcome Signs Kit includes 31 individual design pieces as well as a PDF file that can be printed and used for viewing. The kit includes a sign frame, six different letter frame inserts, nine letter inserts, and 15 animal inserts. The modular design allows you to create hundreds of unique combinations. Once fabricated, this sign can be displayed just about anywhere to welcome visitors. These sign frame is sized to be cut around 24″ wide and 12″ tall. Each letter insert is around 24″ wide and 4″ tall. 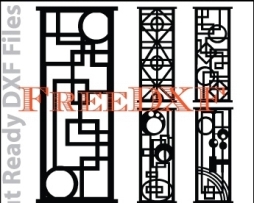 This Wall Art Deco DXF file download includes 16 individual Wall Art Deco Designs as well as a PDF file that can be printed and used for viewing. 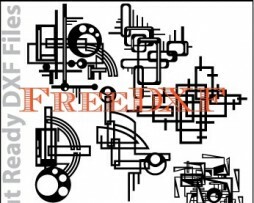 This collection also includes another 16 individual DXF files that allow you to cut the pieces of the design individually so that you can create your own layered Wall Art Deco Masterpiece. 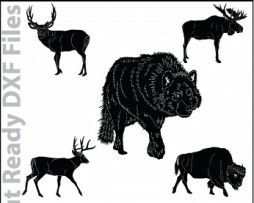 These designs are sized to be cut between 24” and 48” wide. Also, Wall Art Deco designs can be cut smaller with CNC waterjet or laser cutting systems. This Coffee DXF file download includes 38 individual Coffee designs as well as a PDF file that can be printed and used for viewing. These Coffee designs are sized to be cut between 8” and 36” wide. Also, Coffee designs can be cut smaller with CNC waterjet or laser cutting systems. 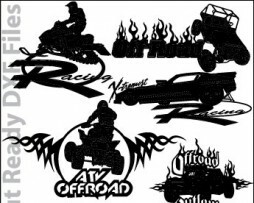 This Motorsport DXF file download includes 22 individual Motorsport designs as well as a PDF file that can be printed and used for viewing. These Motorsport designs are sized to be cut between 24” and 36” wide. Also, Motorsport designs can be cut smaller with CNC waterjet or laser cutting systems. 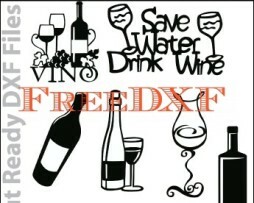 This Wine DXF file download includes 57 individual Wine designs as well as a PDF file that can be printed and used for viewing. These Wine designs are sized to be cut between 8” and 36” wide. 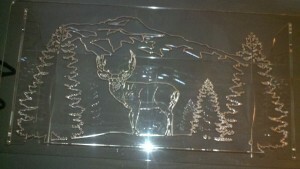 Also, Wine designs can be cut smaller with CNC waterjet or laser cutting systems. 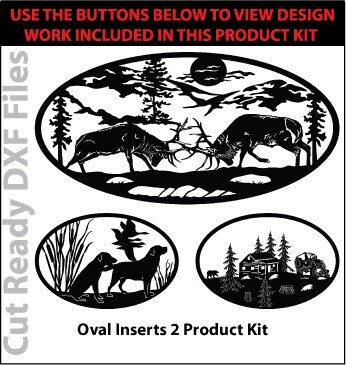 This Oval Inserts 2 DXF file download includes 21 individual Oval Inserts 2 as well as a PDF file that can be printed and used for viewing. These Oval Inserts 2 are sized to be cut 72″ wide x 36″ tall. Some designs may require to be cut larger to accomodate the detail and numerous interior cuts. 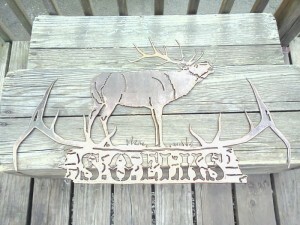 Also, these designs can be cut smaller with CNC waterjet or laser cutting systems.